These days, no good pop star is sticking to their real name. Everyone is called something else, a random assortment of adjectives and nouns that conjures up vague but alluring images. Something like Halcyon Curd or Juniper Echo. That last one’s quite good, actually. Anyway, Yellow Days is the moniker of Surrey musician George van den Broek, a name so good that it’s baffling he’d want to substitute it. But that’s what people do nowadays isn’t it. They have names like Granular Lemon or Polish Tambourine. Hoisin Turtle. Fresh Bandages. I could go on. 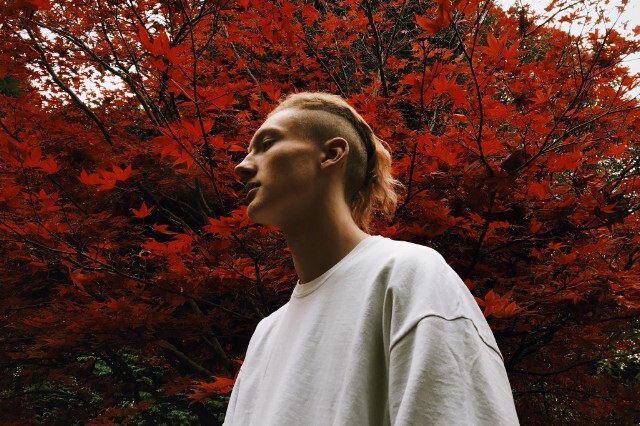 Name aside, Yellow Days’ new track ‘That Easy’ is a real gem. A swaggering bit of psychedelic rock, van den Broek dazzles with his raw, husky vocals that seem more befitting of an ageing rock warbler than a teenager from Haselmere. ‘That Easy’ is a fuzzy indie rock track that bristles with hazy guitar licks and distant percussive beats. But it’s van den Broek’s voice that takes centre stage here, his unpolished vocals riding over the woozy arrangement, at times soaring above it, at others almost swallowed whole by the messy crash of electric guitar. “I ain’t giving up that easy,” van den Broek croons again and again, each time more defiant than the last. There’s a roughness to van den Broek’s voice that is refreshing. It feels earthy and organic, making the track crackle with an emotion reminiscent of the likes of Amy Winehouse. You could get lost in the cosy embrace of the arrangement, the hypnotic thrum comforting and soothing, while the vocals ensure you stay awake, paying attention to Yellow Days’ insistence that he’s in this for the long haul, refusing to give up. ‘That Easy’ is a remarkably confident stride into psychedelic waters, and one that marks Yellow Days as a serious one to watch.